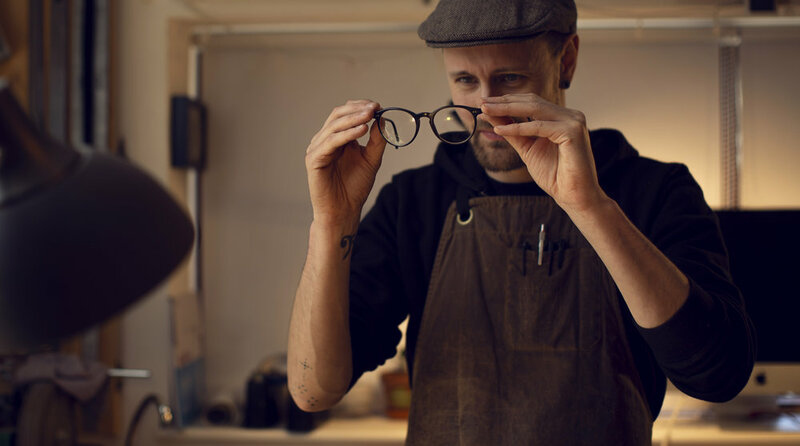 Recent personal series on Tom Sands and his luthier workshop in North Yorkshire, UK. Recent cover shoot for American Way shot here in London. I find airports either really mundane or really fascinating. Innsbruck is the latter. Landing/Leaving here in winter is absolutely stunning as you drop straight down through the mountains and can see people skiing from the plane window. You can't beat that scenery when you walk out on the tarmac in front of those peaks. These were taken as I was leaving a photo shoot in St Anton back in December. 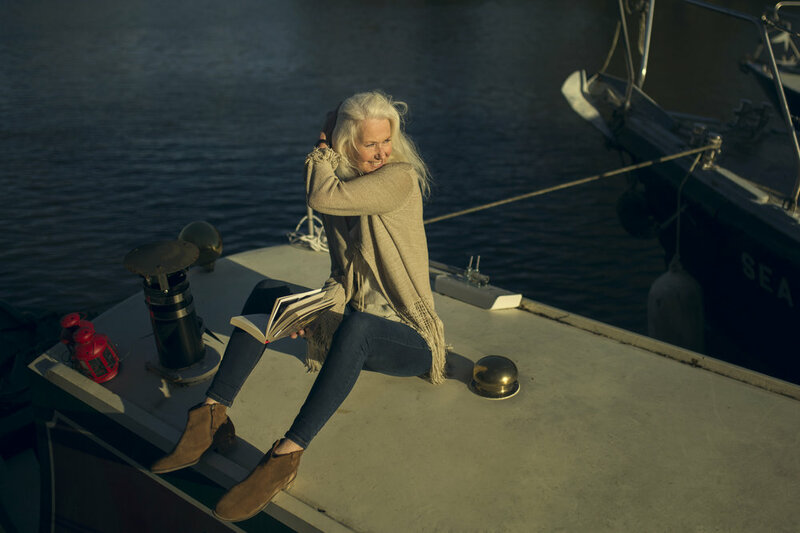 A short photo series on Sandie and her canal boat in Surrey, UK, for some new lifestyle portfolio additions. A stunning wintery morning in Smithfields with British model Freddie Abrahams for some new additions to the lifestyle portfolio. 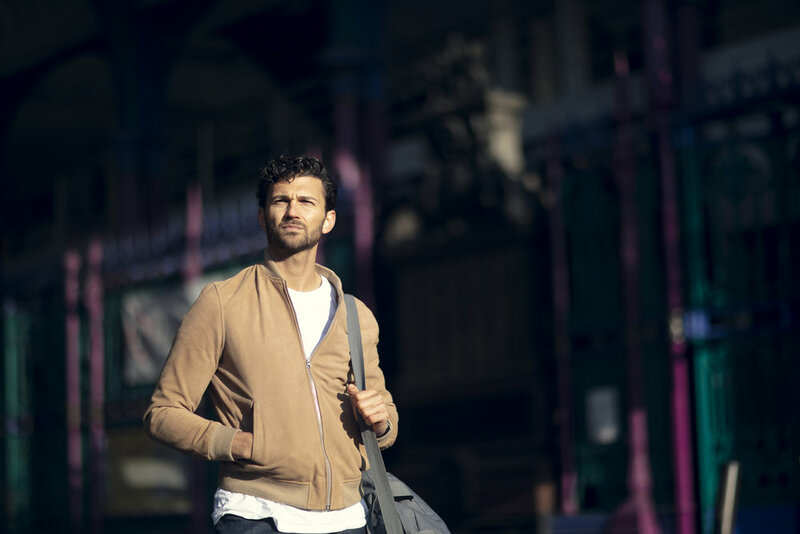 A little wander around Fitzrovia in London with British model Jonty Finn for some new additions to the lifestyle portfolio. 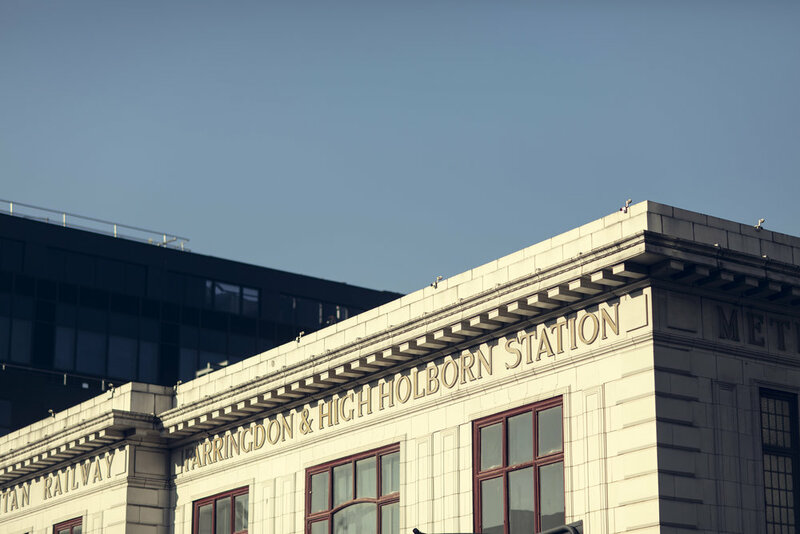 I haven't done one of these Start-To-Finish blog posts in a long time and now that spring seems to have finally arrived in London, I feel happy enough to impart some knowledge. What better recent shot to deconstruct than my favourite shoot of my career. Back in June last year I was called by my one of my favourite clients, Shortlist Magazine, and asked if I would go to Barcelona and shoot Jack Black who was going to be in town promoting Jumanji. Its British editorial, so when you get a call to shoot, even if its the cover, chances are its only a week in advance. My flights were booked within a few hours of the phone call and not long after I was on a flight to Spain with the photo director, a journalist and an art director. We arrived in Barcelona and after an hour long false alarm over the airline losing my photo gear we headed to our hotel. The next day we were booked to shoot Jack on the terrace of a hotel about 10 minutes form ours and with not much to do before then, it was time to get in the pool and do very little else. There were very few things that I knew about this shoot. There was a vague idea for the cover shot and it had to be Christmas themed due to when the shoot was due for release in December. Besides that I knew we were being given a fenced off area in the grounds of the hotel 45 mins to shoot up to 5 set ups. I like these challenges and its never been any different in my career. The next day we went to check out the location about 4 hours before the shoot. The hotel had two main terraces, one looking over the other. The one given to us for the shoot had terracotta paving, no trees/shade (it was 32 celsius) and no features to work with. The one below was grassy, shaded, full of palm trees and was perfectly in tune with the Jumanji theme of the shoot. We then spent the next 3 hours trying to convince Jack's publicist to help us move to the lower terrace but the answer was a disappointing 'no'. I had a hunch that due to Jack's hectic schedule, his publicist had declined our plea to move locations simply to avoid any added complication, so when I met Jack I told him we'd get way better shots if we moved to the lower terrace and he had no issue with it at all. IF YOU DONT ASK, YOU'LL NEVER KNOW! The only problem with this was I'd made a shot list and done a pre-light for the original location and we were about to jump straight into the shoot with no preparation for the new location at all. We shot one other set up prior to this cover so that I could get familiar with Jack and we could get him warmed up for the main event. Despite being exhausted he was in a great mood and every bit the Jack Black I hoped he'd be. Our checklist was simple for the cover shot. So...with our first set up done and dusted we walked to a spot that had our backdrop of palm trees. I had no assistant and absolutely zero preparation for this shot. I just had to keep it simple and stay calm if it wasn't going to plan. When you've got a famous person waiting on you its easy to panic when a shot isn't working out but you just have to relax and do whats needed to fix it. For this shot I kept things very simple. I had a Profoto B1 on a C-stand, boomed to the left of me with a 46" Photek umbrella. I wanted to light Jack from the same direction as the evening sun and in this case I knew my most efficient method would be to block out the sun with the Photek umbrella and replace it with a light source that I could control. The umbrella is about 7.5 feet up aiming down at Jack and about 4 feet away from him. We shot this set up for 5 minutes and then moved on to the next. When you've got limited time and you've got the shot, get on with the next one! As you can see the finished shot looks quite different. In this case I knew what I could achieve in camera and knew where the post production would take over. We shot a couple of hours away from golden hour, so I knew I'd be colour grading the shot later to add a lot more warmth and give the shot even more of that evening glow. Curves: Reduce highlights in RGB. Add yellow to the highlights and a little blue to the shadows using the blue curve. Vignette: Radial gradients to darken the sky and palm tress and make Jack pop within the frame. In January this year I spent several days photographing Paloma Faith for Skoda. 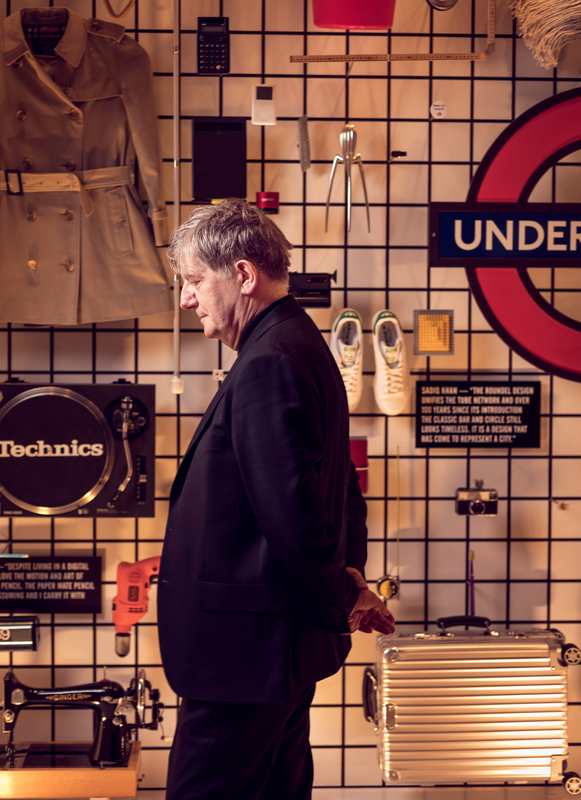 Here are some portraits from Abbey Road Studios in west London. 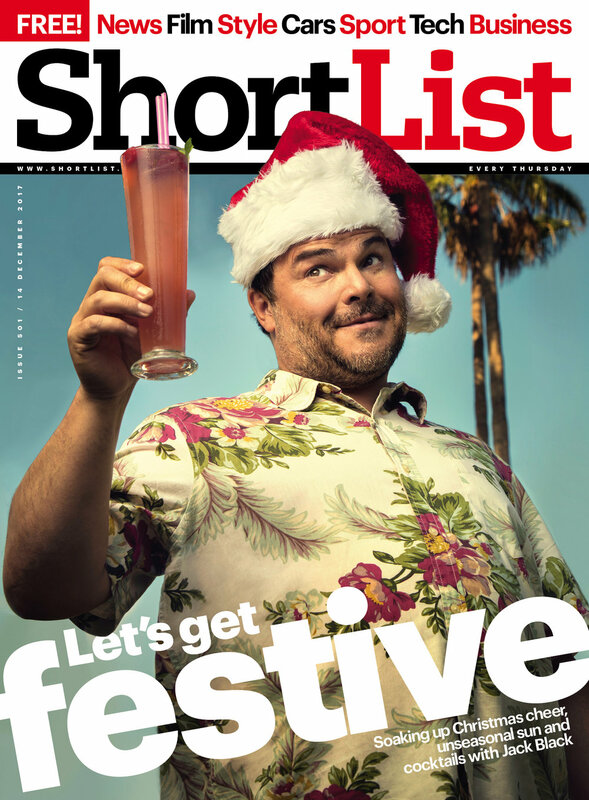 Here's Jack Black for the cover of Shortlist magazine shot back in June last year and released in December. One of my favourite shoots of my career so far. Check out my latest personal project on Tourmaline Beach, San Diego in the 'Series' section of the website. 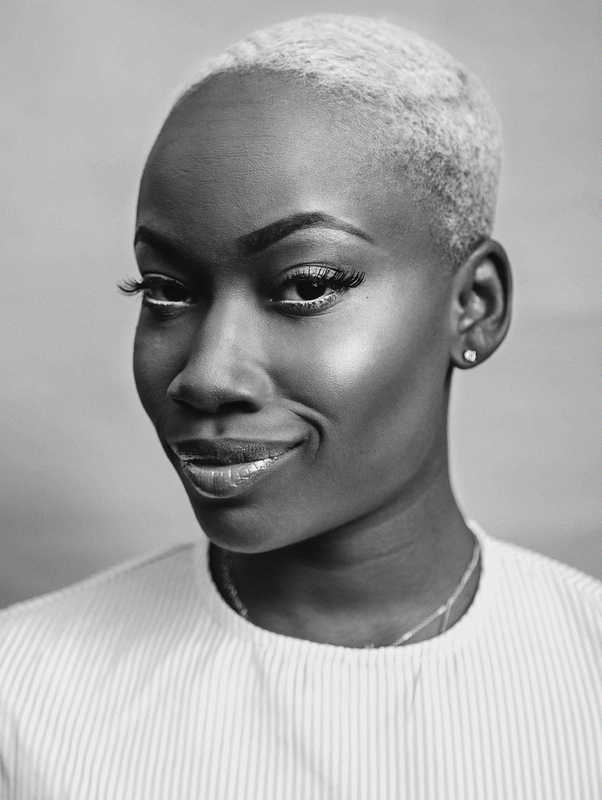 This is Soliat Bada, a Nigerian street food chef and food blogger, photographed as part of a series of portraits for Buzzfeed about Black History Month. We shot in her house in east London on a Sunday afternoon in October. This is the second time I've shot press portraits for Stefanie. She's absolutely fantastic to work with on a shoot and it was so much fin to create a totally different series of images to my first shoot with her back in early 2016. This girl's career is sky rocketing right now and it was great to catch up with her a year after our first shoot. I shot two of the 10 different anniversary covers to celebrate a decade of Shortllst Magazine. The second was British actor Jamie Bell, photographed in a hotel in Toronto during the film festival. We shot for about 40 minutes and managed to get the cover done along with a series of other portraits for another issue which came out in mid November. 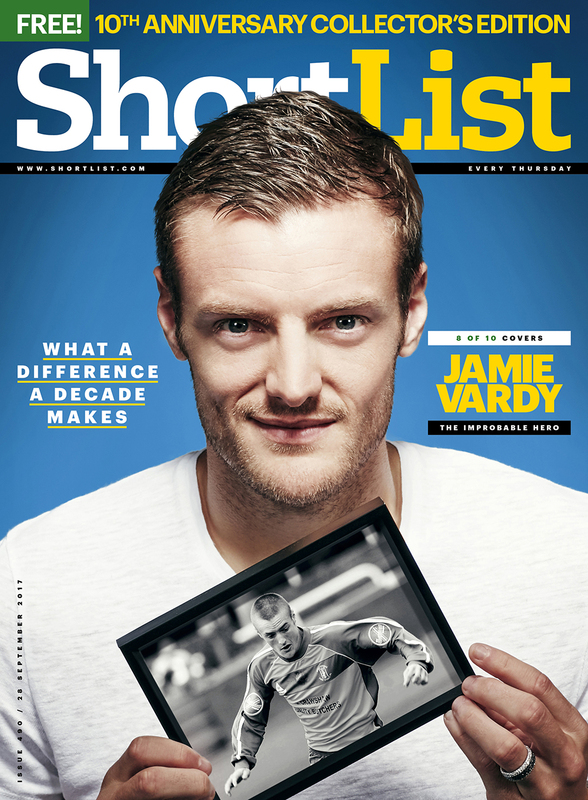 Back in the summer I was sent by Shortlist Magazine to Leicester City football stadium to photograph Jamie Vardy for one of the 10th anniversary covers. 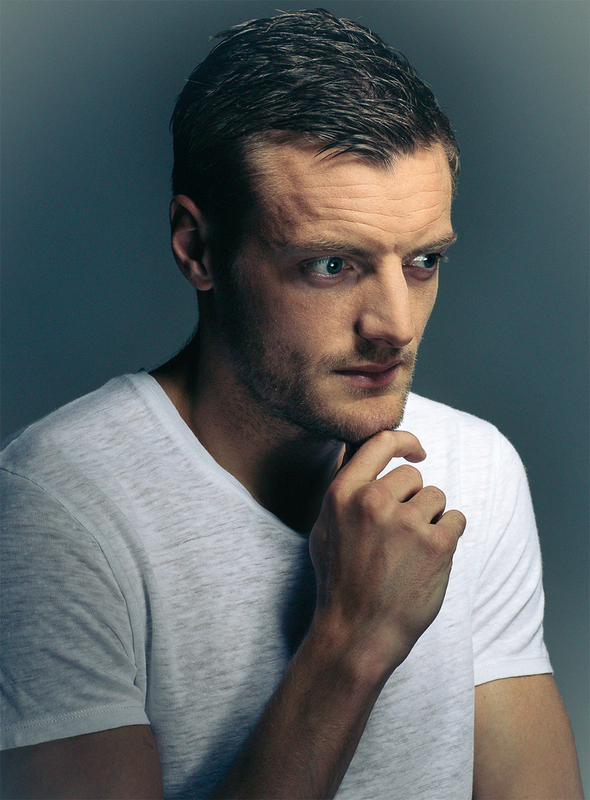 We set up a portable studio in the team shower block and had about 15 minutes with Jamie. It's amazing how often you see a photoshoot that looks like it's done in a big fancy studio when in reality its been done using whatever space is available at the time. Over the years I've set up a 'studio' in hotel rooms, gardens, hallways, kitchens, and all kinds of other weird locations and I love the challenge of trying to make it work despite the restrictions. 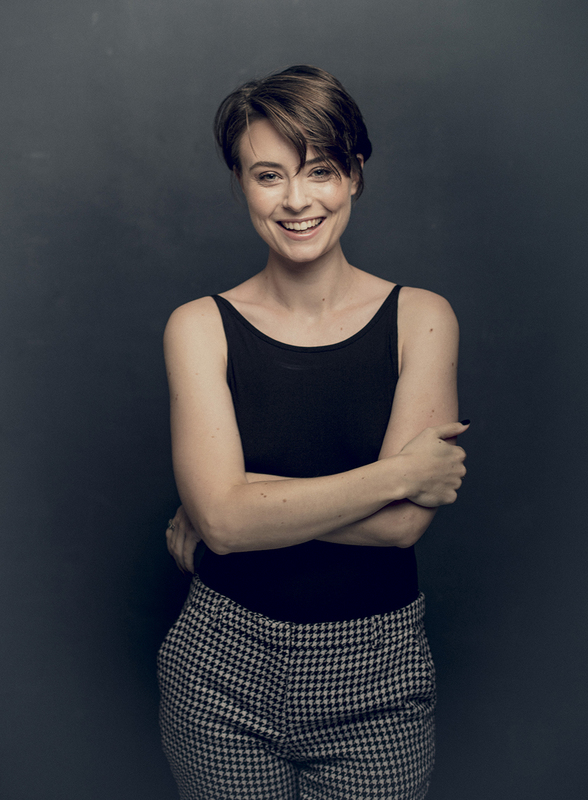 I recently shot press portraits for British actress Jennifer Kirby. We shot in my studio in south-east London and also at the Silvan Post bar in Forest Hill. This week I was commissioned by Buzzfeed to go to Newham Collegiate 6th Form Centre and photograph the students' reactions as they opened envelopes containing their A-level results. I met some amazing people and some students going on to study at some of the country's top universities. I've been wanting to shoot a series similar to this for a long while and I was overjoyed when I got asked to shoot this. I recently shot portraits of Will I Am as part of an advertising campaign with Mother advertising agency. We photographed him in the penthouse of the Ace Hotel in Shoreditch. Sometimes in my job I'm required to shoot an editorial portrait in an incredibly tight time frame and in a totally uninspiring location. I really like these situations and have realised over the years that I work better when I'm under pressure. The more experience I get as a photographer, the more I manage to turn these high pressure situations into a fun and exciting challenge. For a start the location was in a hotel and during a huge conference. This meant that I was likely to only be given whatever room the journalist was given to conduct her interview. There would almost definitely be chairs, a table and walls. It was unlikely to be anything more than a meeting room so my best bet was to think along the lines of a head/upper body portrait. When you're given a hotel suite to work with its a totally different story, but knowing this was being done at a business conference there was a 99% chance of being given nothing more than a meeting room. Here's what I had to work with. This is the hotel's press room complete with no natural light and taken up almost entirely by a huge table. My first thought was "Wow, I cant even put up a backdrop in here!". I'd brought one of my home made canvas backdrops but there wasn't even room to spread the legs of the stands out with that huge table in the way. So my next thought was to use the wallpaper as a backdrop. The room has matte textured wall paper which I knew would work for what I needed. At one end of the huge table was just enough room to position my subject in front of the wall and shoot from about 6 feet away. The journalist and I had ten minutes in total with Lord Foster. 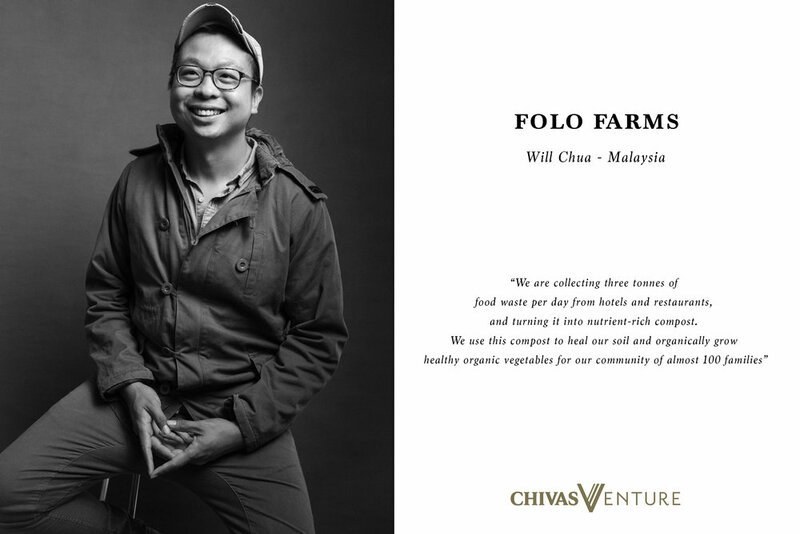 8 minutes for the interview and 2 for shooting the portrait. I set up my 39" Elinchrom Rotalux Deep Octa with a Profoto B1 and took a couple of test shots using Lord Foster's press officer. Once the interview was over Lord Foster stepped in and I managed to shoot roughly 30 frames with the journalist holding a reflector for me to highlight Lord Foster's eyes. Here's the results. This is Laretta. She came to my studio last week to have her portrait taken. I don't always feel a need to publish this sort of work but once in a while I get something really quite unique.